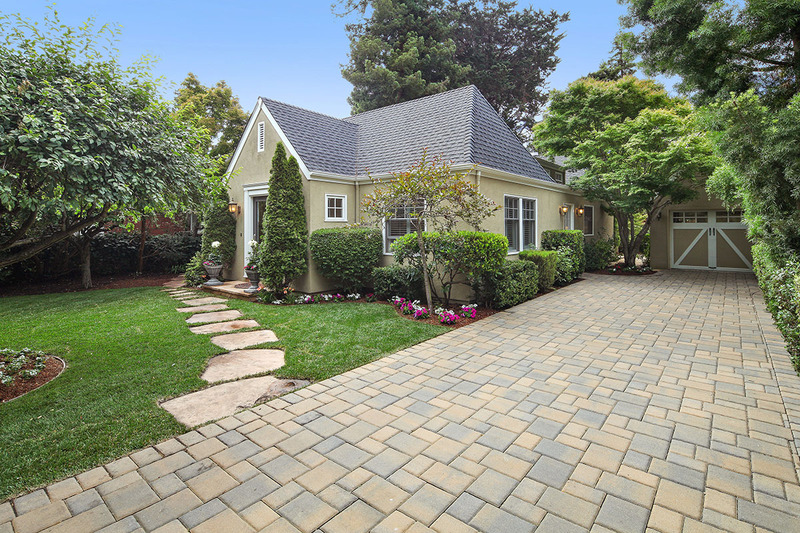 Steeped in English country elegance dating back to 1924, this showcase home offers the best of San Mateo Park living – a surprisingly open concept one-level floor plan, exceptional craftsmanship, and sheltered gardens for private outdoor enjoyment. Featuring 3 bedrooms and 2.5 bathrooms, the home begins with formal living at the front of the home with a spacious living and dining room combination. Fine hardwood floors, plantation shutters, and crown moldings in some room unify the spaces with traditional elegance. The gourmet kitchen is a dream for any chef with its granite countertops, stainless steel appliances, and ample room for family and friends to join in. A separate family room is the perfect place for media enjoyment and opens to a crushed stone patio for evening relaxation. The home’s personal accommodations include a luxurious master suite with garden access and sumptuous en suite bath. Two additional bedrooms are perfect for family members and are served by a beautifully appointed bathroom. Adding to the appeal is the home’s superb location equidistant to fine dining and boutique shopping in downtown Burlingame or San Mateo – truly a wonderful place to call home!